Welcome to the first issue of Trust eSpeaking for 2012. We hope you find the articles both interesting and helpful. If you would like to talk further about any information in this newsletter or about trusts in general, then please dont hesitate to contact us. Under the Family Protection Act 1955 (FPA), parents have a moral duty to provide in their Wills for their childrens maintenance and support. Provision need not be direct; in some circumstances support can be made through a trust as a recent family court decision shows. Trusts are quite often used to protect assets against possible future creditors. Of course you cannot use a trust in order to defraud your creditors. If you know you cannot pay your debts, then putting assets into a trust where they are ring-fenced is unlikely to work. But at what point does prudent protection against future risks turn into hiding assets from your creditors? One of the most important duties of a trustee is to act totally in the interests of the trust beneficiaries. Divided loyalties or a conflict of interest can be enough for a trustee to be removed. A recent decision in Wilson v Pedersen shows the difficulties that can be caused when a trustee will not acknowledge this.  If you do not want to receive this newsletter, please email us at mail@dglaw.co.nz and we will remove you from our database. The next issue of Trust eSpeaking will be published in September 2012. DISCLAIMER: All the information published in Trust eSpeaking is true and accurate to the best of the authors knowledge. It should not be a substitute for legal advice. No liability is assumed by the authors or publisher for losses suffered by any person or organisation relying directly or indirectly on this newsletter. Views expressed are the views of the authors individually and ndo not necessarily reflect the view of this firm. Articles appearing in Trust eSpeaking may be reproduced with prior approval from the editor and credit being given to the source. Under the Family Protection Act 1955 (FPA), parents have a moral duty to provide in their Wills for their childrens maintenance and support. Provision need not be direct; in some circumstances support can be made through a trust as a recent family court decision1 shows. Mrs S died in 2009. She was survived only by her adopted son BS. Mrs Ss Will made some modest gifts, including a $5,000 legacy to BS. The balance of her estate passed to the BDS Inheritance Trust, which had been established in 2008. Mrs Ss niece and Public Trust were the trustees. Mrs Ss niece retired following Mrs Ss death, leaving Public Trust as the sole trustee. The trusts sole beneficiary was BS during his lifetime. On BSs death four named charities would share the balance of the trust. BS applied under the FPA for more money, claiming his mother failed to provide for his proper maintenance and support. The estate comprised of approximately $385,000 in cash. With Public Trusts approval, BS received approximately $67,000 from the estate before the case was heard. This sum covered various medical, legal and other expenses incurred by BS since his mothers death. At the hearing the balance of the estate was approximately $318,000. BS claimed he had a hard upbringing and left school early with no qualifications. He was a sickness beneficiary in his 50s and was unlikely to return to work. He lived in a Housing New Zealand house and had no significant assets. He had a number of criminal convictions and had spent time in prison. BS acknowledged he was an alcoholic; however he maintained he had been sober for many years, apart from a relapse in 2008. BS claimed his mother had failed to provide adequately for him from her estate, because he didnt have direct control over the funds. He didnt want a third party controlling what he saw as his inheritance. Mrs S had signed a letter of wishes recording that the trust was for the long term benefit of BS. She envisaged the trust would buy BS a home to live in and pay the outgoings for that property. She asked the trustees to help BS in living reasonably comfortably. Mrs S also made it clear that the trusts distribution date was not to be brought forward. It was to be wound up on BSs death. There was also evidence that Mrs S was concerned about BSs ability, given his past history, to make decisions and handle funds responsibly. Under the FPA parents have a moral duty to provide for their children from their estate. The test is whether adequate provision has been made for the proper maintenance and support of the person making the application. If a breach of this duty is found, the court can only order support from the estate as is necessary to remedy that breach of duty; otherwise the Will should stand. The court cannot rewrite a Will merely because its unfair. The judge found that BS was adequately provided for under Mrs Ss Will, as he was the only beneficiary of the trust during his lifetime. BS had already received substantial amounts from the estate before the case was heard. There was no suggestion that Public Trust, as the independent trustee, would not take BSs interests into consideration. Provision by parents on their deaths for children through a trust can satisfy the moral duty imposed on them by the FPA. As with many legal matters, however, each case will turn on its particular circumstances. Trusts are quite often used to protect assets against possible future creditors. Of course you cannot use a trust in order to defraud your creditors. If you know you cannot pay your debts, then putting assets into a trust where they are ringfenced is unlikely to work. But at what point does prudent protection against future risks turn into hiding assets from your creditors? Taylor v Official Assignee2 was a recent test. In 2000 Mr & Mrs Taylor had set up a trust. Because they did not want to have to pay gift duty, Mr & Mrs Taylor followed what was then the usual procedure. Their house was sold to the trustees at market value and the trustees acknowledged they owed that amount back to the couple. Mr & Mrs Taylor began a gifting programme, reducing the amount owed to them by each giving $27,000 annually in reduction of the amount owed. Unfortunately Mrs Taylor had an acrimonious falling out with her business partner. She became depressed and was prescribed Prozac. She also contracted hepatitis. As a consequence her business affairs got into a muddle. In particular she did not deal with tax matters and eventually owed substantial amounts to Inland Revenue. By 2006 Mrs Taylor was bankrupt. The Official Assignee was appointed to take over her finances. The Official Assignee claimed that the trust had been set up in order to defeat the rights of creditors such as Inland Revenue. The Official Assignee claimed the gifts to the trust were invalid under the Property Law Act and the Insolvency Act. The High Court agreed with the Official Assignee but Mr & Mrs Taylor appealed to the Court of Appeal. The appeal court said that the gifts were not invalid. When the trust was set up Mr & Mrs Taylor were able to pay their debts and had no creditors who they were trying to avoid. It was only later that Mrs Taylor incurred liabilities to Inland Revenue. The appeal court was satisfied that Mr & Mrs Taylor were able to pay their debts even when they made the later gifts to the trust. Although Mrs Taylor had started to run up debts to Inland Revenue, she could borrow money from the trust which could extend the loan on the house property if necessary. Assignee could do was to demand interest at ordinary commercial rates. Everything else was locked away in the trust. Arrangements of this type have been fairly common for some years now. We now have some assurance from the Court of Appeal that these arrangements do protect assets from creditors. Last year, in Regal Castings3, the Supreme Court overturned a trust because the settlors had transferred their house to the trust knowing that they would then be unable to pay their debts. The Court of Appeal emphasised that Mr & Mrs Taylors situation was different. They could pay their debts at the relevant time and there was no evidence they were trying to hide anything from their creditors. In fact, they did not really have any creditors to hide from at the time when the trust was set up. Transferring assets to a trust, to protect against future business risks, can be a sensible precaution. Hiding property from creditors who already have a legitimate claim to your assets, is another thing entirely. One of the most important duties of a trustee is to act totally in the interests of the trust beneficiaries. Divided loyalties or a conflict of interest can be enough for a trustee to be removed. A recent decision, Wilson v Pedersen4, shows the difficulties that can be caused when a trustee will not acknowledge this. Charles Pedersen was named as one of the three trustees and executors of the Will of Murray Wilson. The other trustees were Murrays widow and a minister of religion. One of the main assets of the estate was a part share in a farm. Mr Pedersen was also interested in the farm. A company in which he was involved was the sharemilker. A further company, in which Mr Pedersen was involved, had a long-term agreement to buy the part share in the farm. This had been signed when Mr Wilson was still alive. Due to a dispute over Fonterra shares, Mr Pedersen had not made some of the payments due under the agreement for purchase of the farm property. The other two trustees applied to the High Court to have Mr Pedersen removed as trustee. They had asked him to resign but he refused. They believed that his clear conflict of interest meant they could not confidently work with him as a trustee. There was a further complication because trustees are required to act unanimously. In order to resolve the dispute with Mr Pedersen, the other two trustees thought it would probably prove to be necessary to sue him. How can the three trustees agree unanimously to sue Mr Pedersen when he is one of the trustees? Mr Pedersen said he would not refuse his consent but, of course, he could change his mind at any time. The judge noted that Mr Pedersen had resigned as director of the purchaser company in a futile attempt to eliminate any conflict of interest. The judge also noted that Mr Pedersens wife and son are now the directors of the company and he is still one of the shareholders. The court removed Mr Pedersen as trustee and replaced him with the estate lawyer. The judge noted that, when the court is asked to remove a trustee, the threshold is very low. Any indication that a trustee may be tempted to act in the trustees own self-interest, and not be totally loyal to the interest of the beneficiaries, is sufficient to have the trustee removed. Of course, it is quite common for trustees to have some degree of self-interest in the trust they are administering. Often a settlor will be one of the trustees and one of the beneficiaries. In most cases, the trust deed will specifically allow a trustee to act despite any conflict of interest. However, if the terms of the trust do not have a clause like that, then the trustees need to be very careful to avoid any form of conflict of interest. Trustees are appointed to look after the interests of the beneficiaries, not their own interests. The case had an unfortunate sequel. The successful claimants asked that Mr Pedersen should be ordered to pay their full legal costs. The judge awarded them only the scale payment set out in the High Court Rules about 2/3 of the actual costs. The remaining 1/3 will not be paid by Mr Pedersen. It will need to be paid, in effect, by Mrs Wilson (the main beneficiary of the estate). This case is a useful reminder of two points. First be very careful about who you choose as trustee. Even if you get on very well with someone now, there is always a risk of a falling out later on, particularly if there is a financial advantage to be gained. The second point is that trustees should remember they must act only in the interest of the trusts beneficiaries. If there is any suggestion they might be tempted to put their own interests first, they should consider resigning or seek consent from the beneficiaries. 4 High Court Wanganui CIV 2011-483-212, 27 October 2011, Miller J.